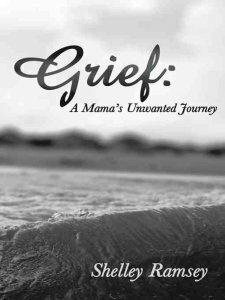 In late June, I had the opportunity to present a workshop on Grief and Loss. It was good for me to think about and put into words some of the things that I know to be very important. It was also a cool event – meeting up with other Christian Feminists at the EEWC Gathering! Among the topics I touched on were some of the new paradigms for viewing grief and the mourning process. The most important point to me (aside from the obvious one that all of us will experience grief at some point in our lives) was the emphasis on learning from grief, not thinking it is something we have to get past. It’s a touchy point, because so many of us get stuck on the platitudes of well-meaning people. Our grief stories are important. In the process of reflecting, writing and talking about them, we discover where the pain has continued to nestle, and where we still “love with a limp.” It’s not that we have to act like everything is OK. Instead, remembering that we have been broken, we invite God into the process of reclaiming some of our former selves, even if the shape has knicks and dents and cracks. I used the example of the Japanese art of kintsukuroi. Instead of hiding the broken places, the artist uses a resin that has gold dust in it (or sometimes silver or platinum). The philosophy of this process suggests that the breakage and repair become a part of the object; transformation rather than perfection is the goal. 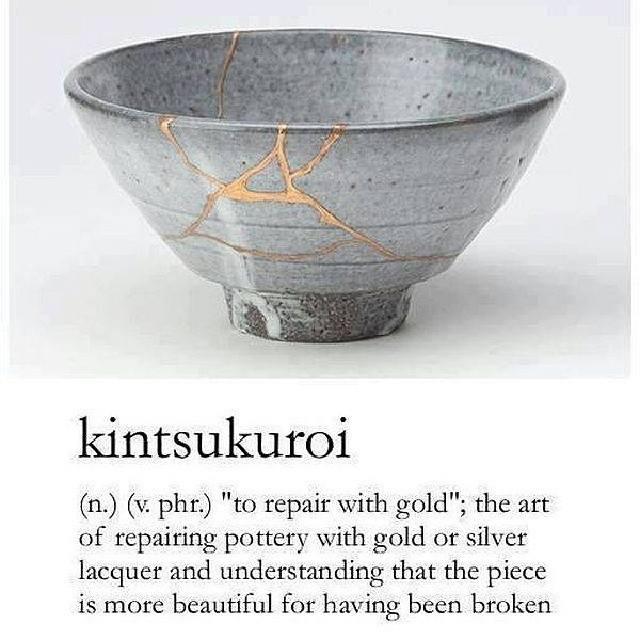 There are stories in the scars; beauty in the broken and repaired. We are still useable and needed, even if our brokenness shows. We do not have to be pre-grief-perfect! 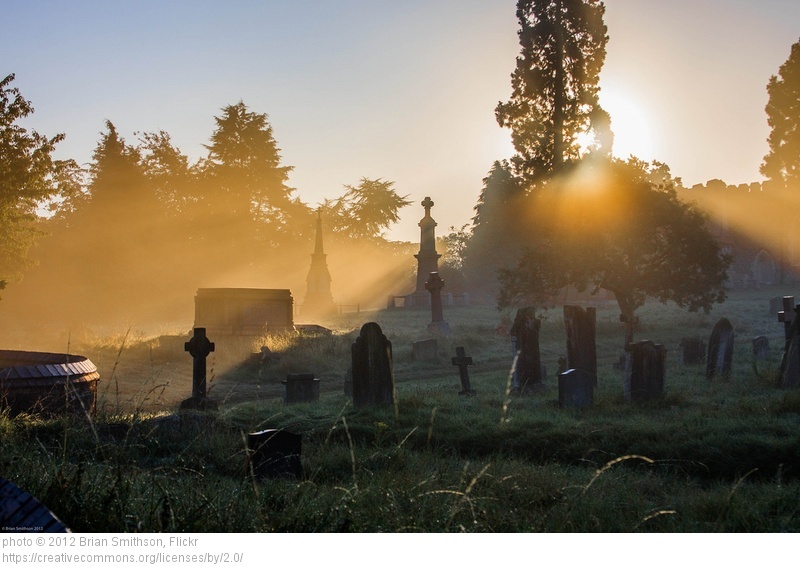 Not only are these phrases unhelpful (we know that death means an end to suffering), but at times they are theologically wrong! So WHY do sincere, loving, well-meaning people say these things?? Foot-in-mouth disease – We’ve all done it. Said exactly the wrong thing at the wrong time. We grow from it, forgive, and move on. I ended my workshop with a short service of remembrance. It began with a video I created with an original reading set to music by Yiruma. Keep me as your remembrance stone. give me back to Creation. 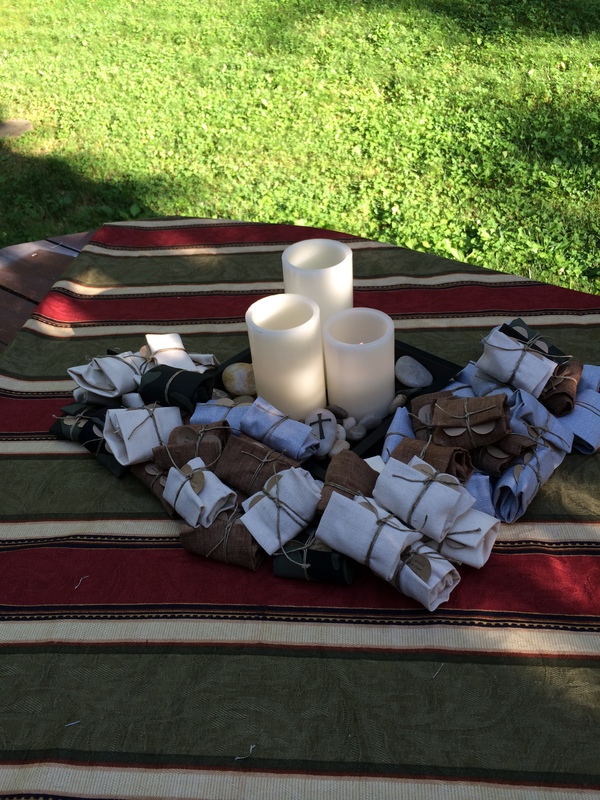 Participants were invited to select a wrapped stone and share with us the life event or person that was still a source of grief. The stories which came up surprised the participants, some of whom were friends and never knew the depths of grief that others were experiencing. The stones were then taken home by each participant, and they were encouraged to leave the stone some place, either mundane or deeply personal and significant, when they had come to the place that they were ready to move on. There was no time line. That was not important. Rather, each person would work to a place of readiness to leave the most intense period of grief behind. The cloth wrapping around the stone and the jute will decay. The paper will dissolve. But the stone, like the memory of the one we grieve for, will continue. We concluded the service with a responsive reading written by Jan Aldredge-Clanton and a blessing written by Sally Coleman. It was amazing to watch the Holy Spirit do the knitting work of transforming love. I put the pieces out there, but God put them together. As a chaplain, I have been a part of many conversations with families over end-of-life care. I know from personal and professional experience that they are brutal. While there are great resources and trained professionals to help and support the decision-making process, there is no way to express the heartaches that accompany it. The scenarios I have witnessed came to mind as I read a recent news story about the recent death of Diane Rehm’s husband. Diane, a public radio personality, shared the details of her husband’s death by dehydration when his doctor could not and would not help him die faster in his end-stage Parkinsons disease. So, despite the best medical support and symptomatic relief possible, for nine days he refused food and drink, enduring discomfort and pain. 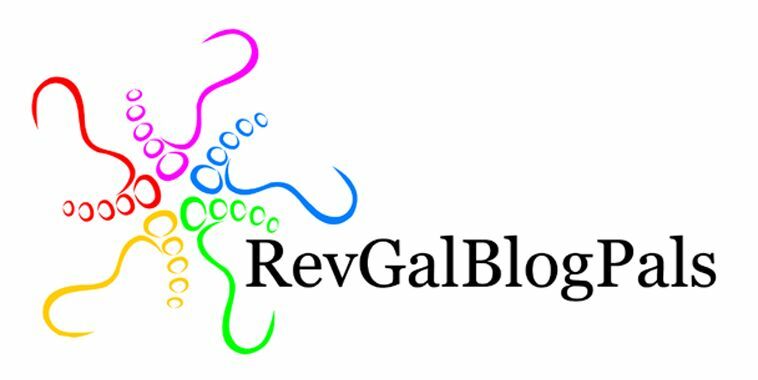 I’m grateful for the opportunity to offer my reflections and opinions on the RevGals blog. Please wander over there and check them out!